Authentic 18th century farmhouse of more than 600 sqm, facing south, beautifully restored and arranged. The beautiful park is planted with mulberry trees, plane trees, olive trees multi-centennial scattered in a lavender field bordered by an alley of cypress of Florence. In the farmhouse, you will appreciate the general quality of the equipments and the beautiful volumes, a beautiful kitchen to live, a living room with fireplace, a TV lounge, an office / library, seven bedrooms including a master bedroom of 55 sqm and six shower rooms, laundry. 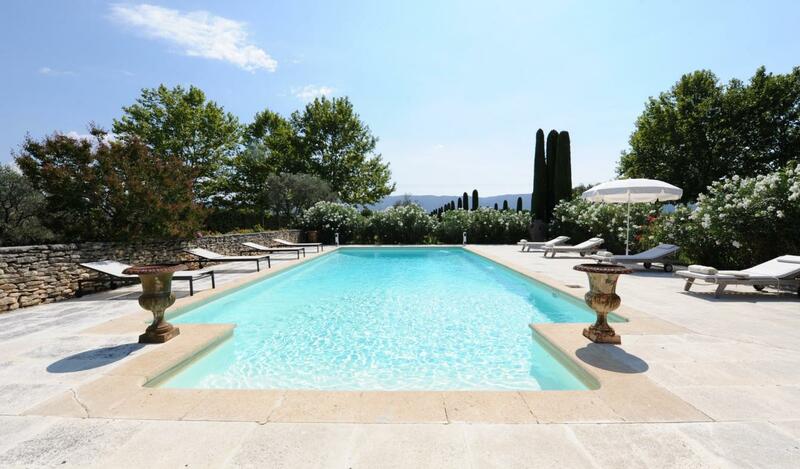 Heated pool 14 x 6 meters, sheltered behind a laurel hedge and surrounded by a beautiful paved terrace. The pool house, with shower and toilet, is housed in the extension of the mas. Summer lounge and dining room under covered awning. 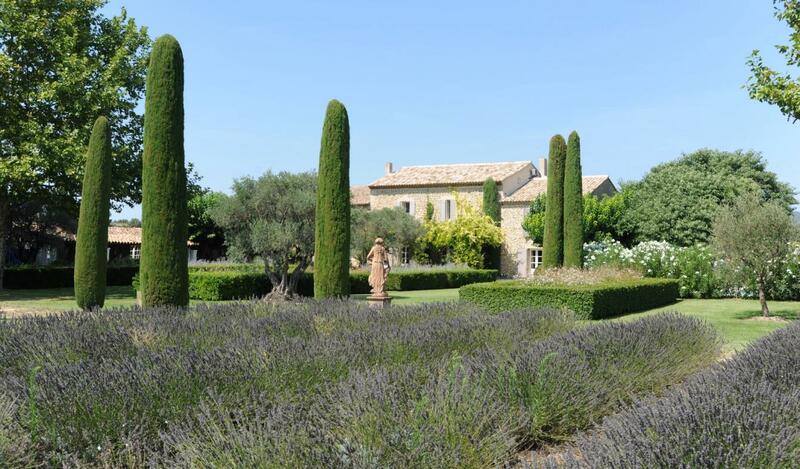 Wherever you are, you will like to let your eyes wander and contemplate the Luberon. The property is equipped with tennis court Quick and parking for ten cars. Please contact us for prices and availability.